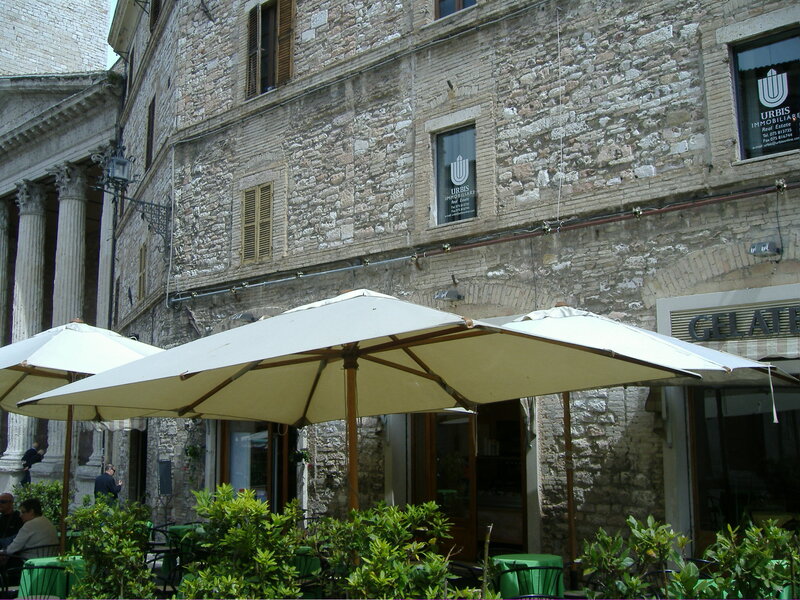 We travelled in comfortable modern coaches from the school to the beautiful town, Assisi. Assisi is a small hill top medieval town of about 25,000 people in Umbria. 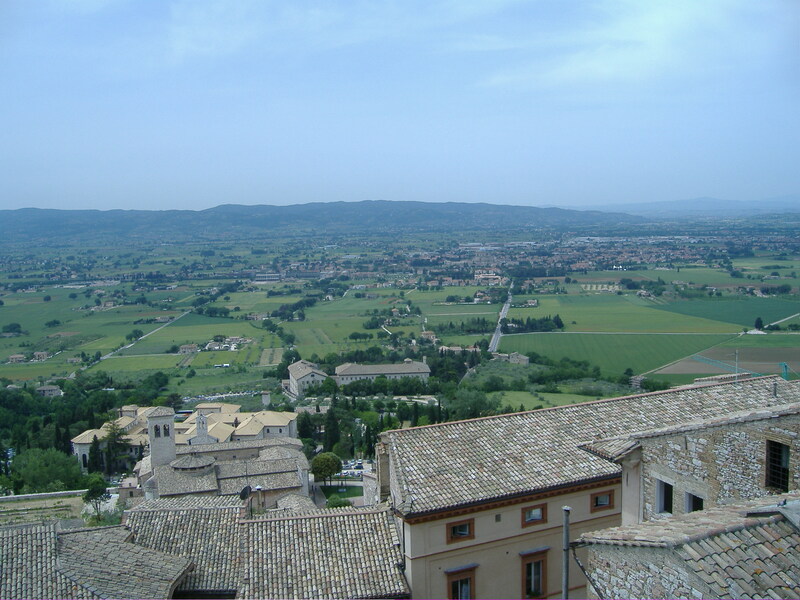 Famous as the birthplace of St. Francis, Assisi holds religious, historical, and artistic significance. 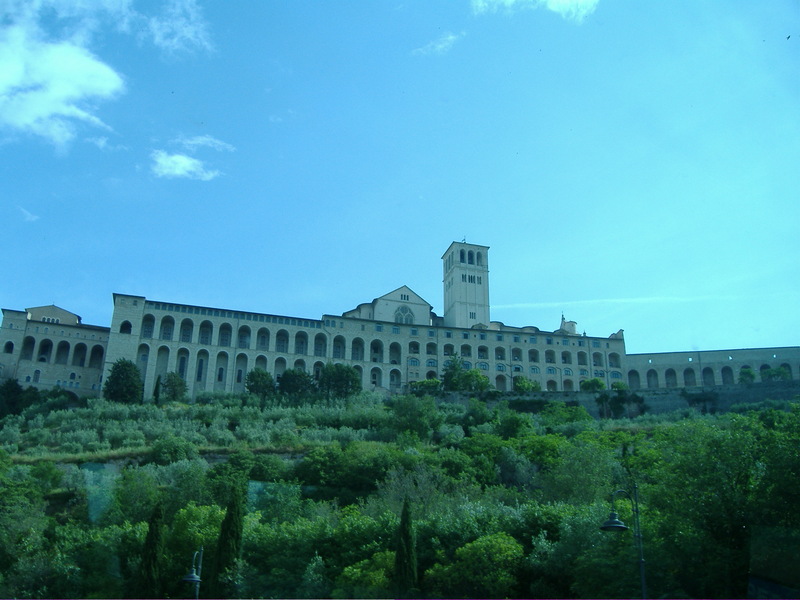 The basilica of St. Francis, completed in 1253, is only one of many beautiful churches in Assisi. 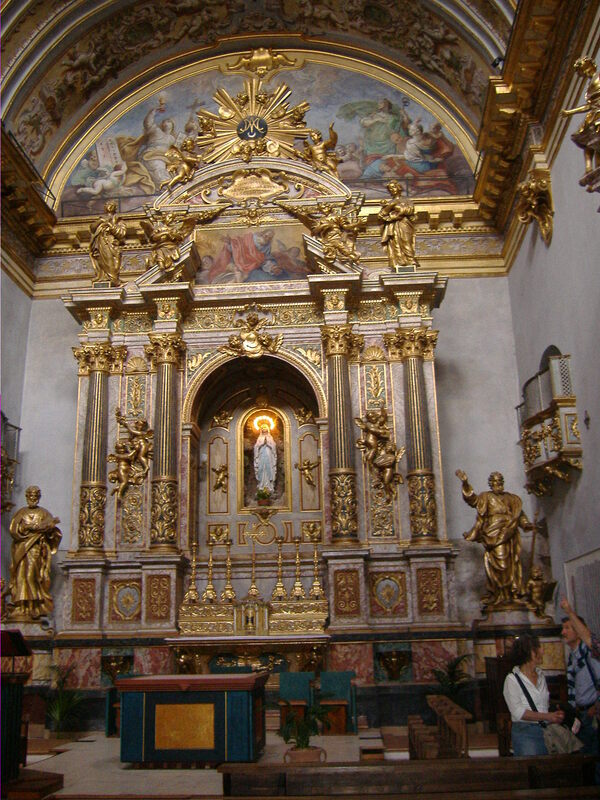 The cathedral of San Rufino, the basilica of Santa Chiara, and the Chiesa Nuova are also worth a visit. 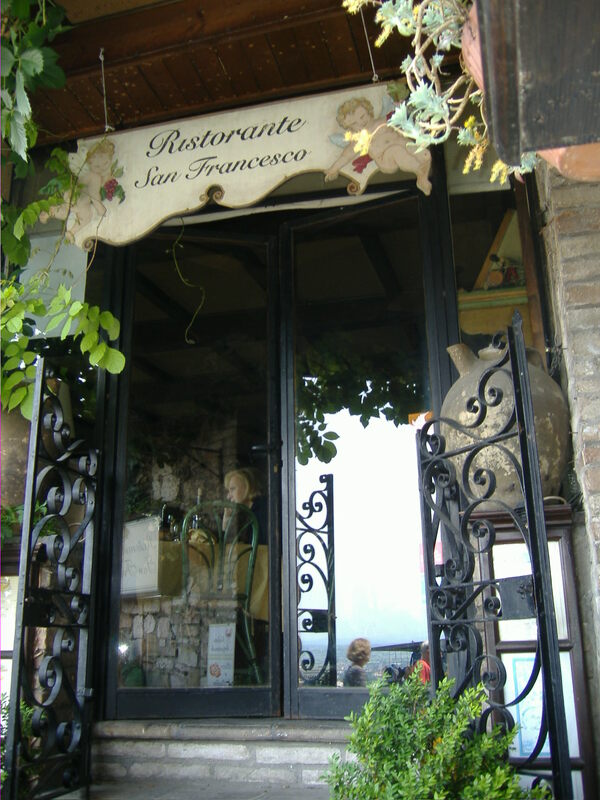 Assisi is quite small and easy to get around on foot, just take it easy as there are many hilly streets. 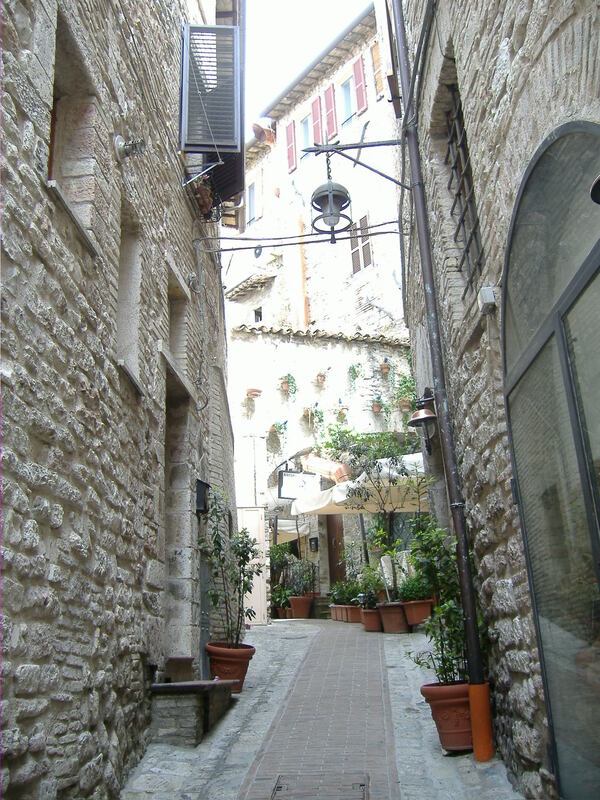 Be sure also to take a walk among Assisi’s medieval houses and shops. 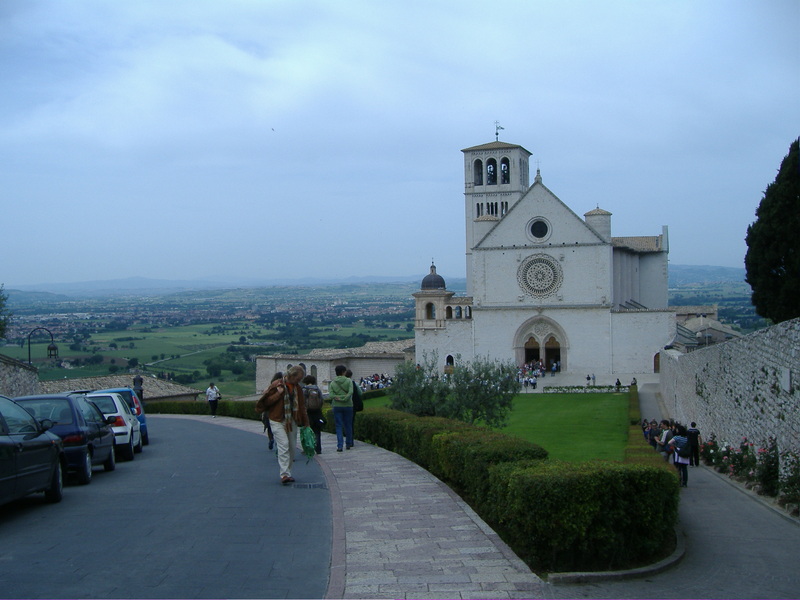 Most of the cobblestone streets and alleys will take you to the basilica of St. Francis. It’s a good idea to rent the audio guide to appreciate the artistic and historical significance of this unique church. 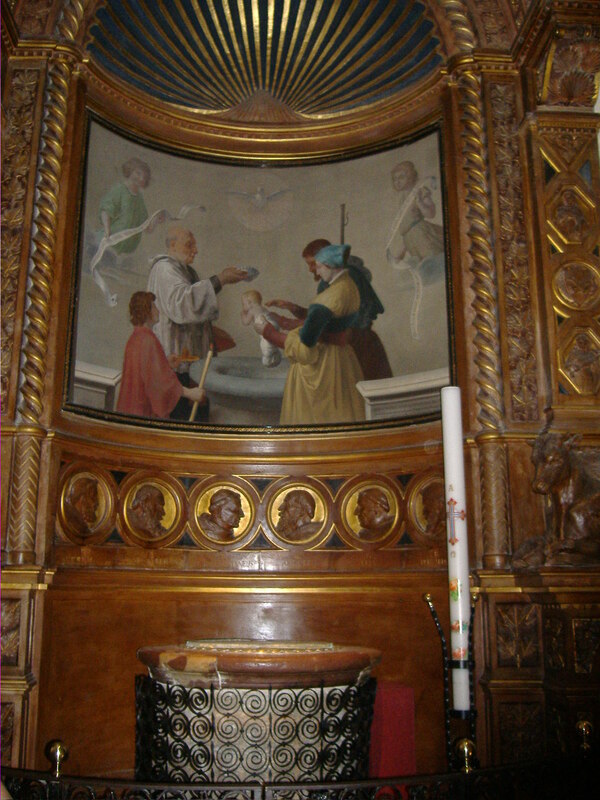 The walls and ceilings of the upper church are embellished with frescoes of the Giotto school; the lower sanctuary contains the tomb of St. Francis. This is still a place of prayer so please be quiet as you wander around in this magnificent basilica. 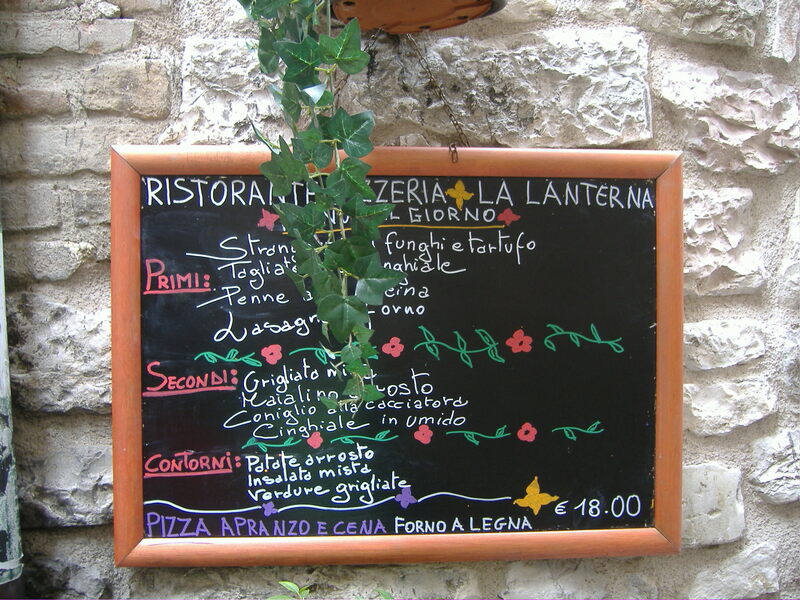 There are many eateries, bars, cafes, restaurants, pizzerias and gelaterias in Assisi. The many shops display a variety of local arts and crafts, including paintings, sculptures, ceramics and reproductions of medieval weapons and tools. Embroidery and chocolate manufacturing are also typical of the area. Religious items are best purchased at the gift shop behind the lower level of St. Francis basilica. 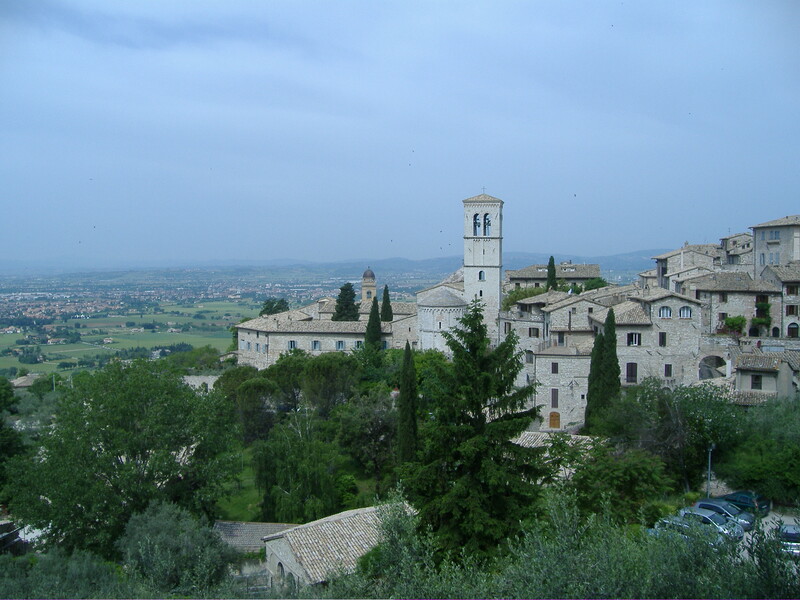 We arrived in Assisi by train and the first impression for me was it was likeBrigadoon (the movie) shrouded in low mist. The Pope was arriving the day we were leaving so missed seeing him by 30 mins. Our accommodation in the Monastery of St Francis of Assisi run by nuns was breathtaking to say the least with wonderful roof top views from our room. 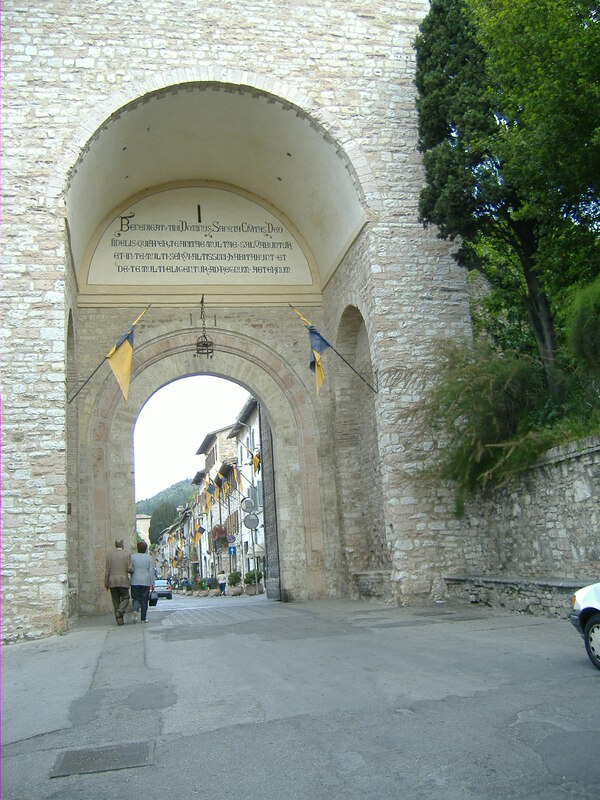 Assisi was one of my favourite places in Italy. Thanx Janelle, I am so pleased that you looked at it. I agree, I love the little villages the most. When I stay in Italy for extended time, I stay in the little villages. L.